The Metal Forge Neck Air contains noise isolating ear tips and an angled design for superior comfort. Built-in magnets on earbuds make it easy to securely wrap around your neck while not in use. 10mm diameter high-quality speaker delivers a unique, clean and superior sound. The IPX4 rated water splash/sweat proof makes it ideal for outdoor activities or exercise. With the multi-functional remote that has easy-to-use control buttons, you can answer calls hands-free, and control playback. Wireless Bluetooth V4.2 supports A2DP, AVRCP, HSP, HFP. Noise isolating ear cushions, specially designed to block external sound. 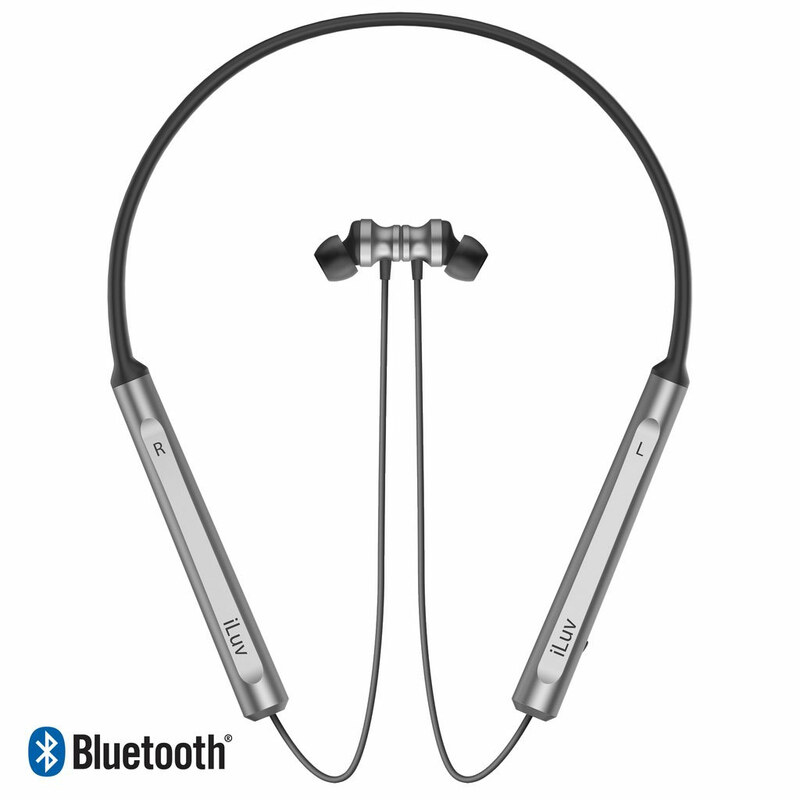 Bluetooth streams music up to 33 ft. Long-lasting battery life with 3.5V/120mAh. Music play time: up to 6 hours (Varies by volume level and music content). Standby time: up to 80 hours. Compatible with Apple and Android smartphones and tablets which support Bluetooth. Includes Metal Forge Neck Air, 3 Size ear tips, Micro USB charging cable, QSG.